Jack Greene performing at a show. Jack Greene was a talented singer, musician, and songwriter who scored several top-ten country hits in the 1960s and 1970s. Known as the “Jolly Greene Giant” because of his pleasant demeanor and tall stature. 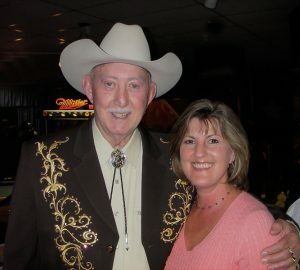 He was a long-time favorite of Grand Ole Opry audiences and also recorded a series of popular duets with Jeannie Seely. Jack was also the Country Music Association’s first male vocalist of the year in 1967. Jack Henry Greene was born near the Smoky Mountains in Maryville, Tennessee, on January 7, 1930. He developed an interest in music when still a boy. As a teenager, he worked as a disc jockey on a small local radio station. After gaining performing experience on the Tennessee Barn Dance radio program, Greene moved to Atlanta to pursue his musical dreams after high school. There, he played in a series of country bands in which he sang and played guitar or drums. 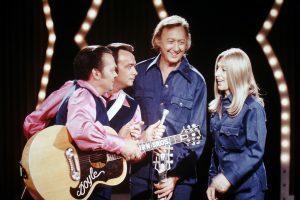 Jack Greene, Jeannie Seely with the Wilburn Brothers on their TV show. He also performed on radio shows. Following a two-year stint as a combat engineer and mechanic in the Army, he returned to Atlanta and performing music while working in construction and other jobs to pay the bills. Greene moved his music dreams to Nashville after Ernest Tubb “discovered” him. In 1962, Greene left his own band to become a part of Tubb’s Texas Troubadours. He sharpened his musicianship with Tubb’s band, singing as an opening act as well as playing drums and, sometimes, guitar. He also was occasionally forced into mechanic’s duty for Tubb’s troubled tour bus. Tubb liked Greene’s singing—often introducing him as “my big-eared singing drummer”—and urged him to pursue a solo career. Tubb’s label, Decca, released Greene’s first single, “The Last Letter,” in 1964. He stayed with the Troubadours until 1967. Greene singing “The Last Letter” with the Texas Troubadours in 1964. That song spent seven weeks in the number-one position, stayed on the country charts for months, and crossed over to the pop charts. “There Goes My Everything” led to Greene being honored by the Country Music Association at its first awards presentation in 1967 with male vocalist, single, and album of the year. Frazier was honored with song of the year. Greene singing “There Goes My Everything,” his huge hit from 1967. Also in 1967, Greene’s “All the Time” and “What Locks the Door” made it to number one and number two, respectively. More hits came in 1968 and 1969 with “You Are My Treasure,” “Love Takes Care of Me,” “Until My Dreams Come True,” “Back in the Arms of Love,” and “Statue of a Fool.” The latter song would be one of his most requested numbers over the course of his career. 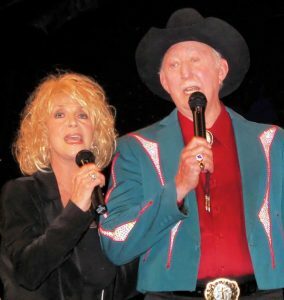 Jack Greene and Jeannie Seely performing during one of their many shows together. Greene began recording and touring with Jeannie Seely, best known for her 1966 hit “Don’t Touch Me,” in 1970. The duo charted hits with a number of their recordings in the early 1970s. Some of those hits included “Wish I Didn’t Have to Miss You,” “Much Oblige,” and “What In The World Has Gone Wrong With Our Love.” They worked together for about a dozen years and remained close friends for the rest of Greene’s life. Jack and Jeannie’s recording of “Wish I Didn’t Have to Miss You,” their extremely popular and catchy 1970 duet. Jack had a total of nine songs reach the top ten on the country charts, including five number-one hits. He was nominated for three Grammy awards. 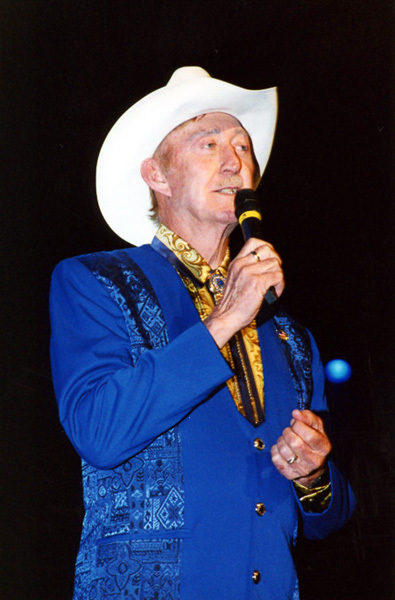 Bill Anderson introduces Jack to sing “Statue of a Fool” at an all-star country-music gathering in 2008. Jack Greene visiting the Willie Nelson and Friends Museum and chatting with store owner, Kay Hughes. After his chart success ended, Greene continued to record, tour, and perform regularly on the Grand Ole Opry, where he first became a member in 1967. His last album, Precious Memories, Treasured Friends, was released in 2010. 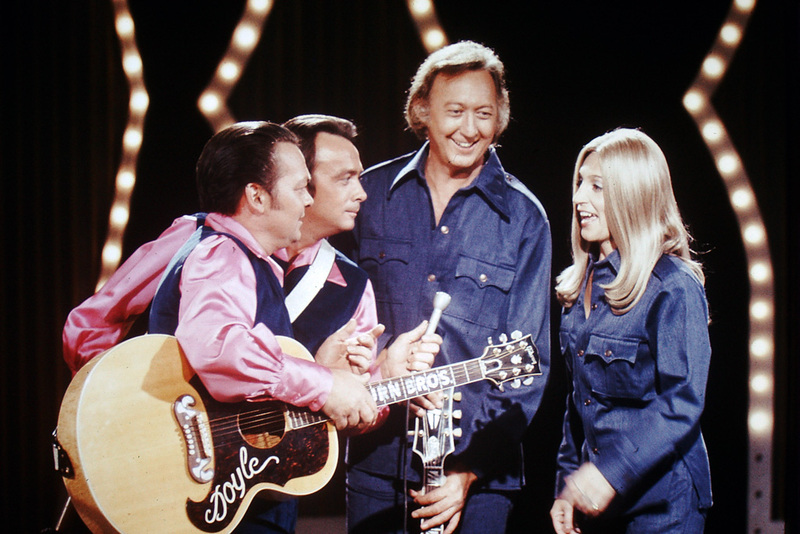 It consisted of duets with numerous artists, including George Jones, Merle Haggard, Charley Pride, Larry Gatlin, Vince Gill, Jeannie Seely, and Lorrie Morgan. Greene retired in 2011. He struggled with the effects of Alzheimer disease during the last couple years of his life. He was also a great lover of dogs, especially Shih Tzu’s, as he had five of them and would bring them to the museum when he stopped in. Unfortunately Jack passed away on March 14, 2013, in Nashville. Jack Greene interview. Country Stars Central. Remembering country music legend Jack Greene / Interview with Jeannie Seely. Country Stars Central.